Investing in premium garage doors can do wonders for your property! Install a top-of-the-line garage door today, and improve your home’s security and curb appeal. Here at Green County Garage Doors, we offer a full line of quality doors that boast impressive durability, premium finish, and competitive pricing. Contact us today, and get the perfect garage doors for your property! 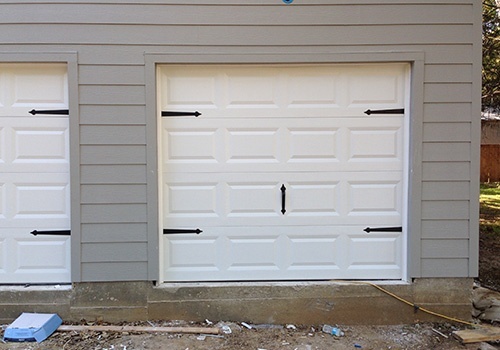 We are the premier residential garage door contractor in Monroe, WI. Green County Garage Doors takes pride in its comprehensive line of doors and openers. We carry products from today’s leading manufacturers, including Clopay, Ideal Door, and Liftmaster. Rest assured that our products feature superior quality, elegant designs, and remarkable resilience. Why Choose Green County Garage Doors? If you are looking for a local garage door contractor that can help you enhance your property exterior and security, look no further than Dennis Balsiger! As the owner and principal garage door specialist of Green County Garage Doors, Dennis will personally make sure that you get the garage doors that meet your needs and preferences. Call Dennis today, and enjoy the benefits of having best-in-class residential garage doors! "They did a great job. Took care of me right away." Green County Garage Doors has a continuously growing residential clientele throughout the Green, Lafayette, Iowa, and Rock Counties, with the majority as homeowners within the 30 to 80 age group. We also have a consistent commercial clientele composed of remodeling contractors and home builders. Our extensive client base is a strong testament to the quality of our products and the reputation of our business as a trusted garage door contractor. We are open on holidays for emergency services only when available.